They love the fact that a child is the one doing the painting. 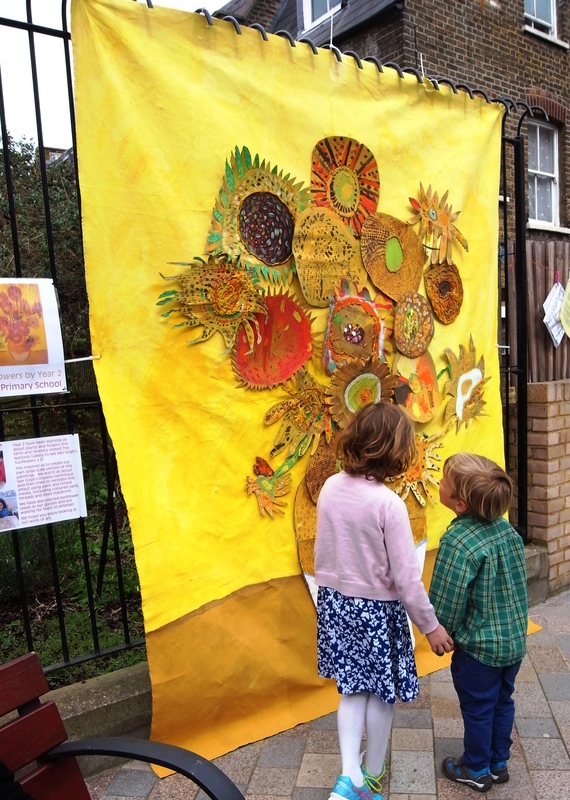 My Year 2 class created a large scale version of Van Gogh’s Sunflowers a few years ago. We were lucky enough to go and see two Sunflower paintings at the National Gallery, London, beforehand as they were on display at the time. Each child began the process by drawing a sunflower outline onto thick corrugated cardboard (we used old boxes rather than buying a new roll). They then painted their flowers with brushstrokes using a large brush and a selection of yellows, whites and ochres. 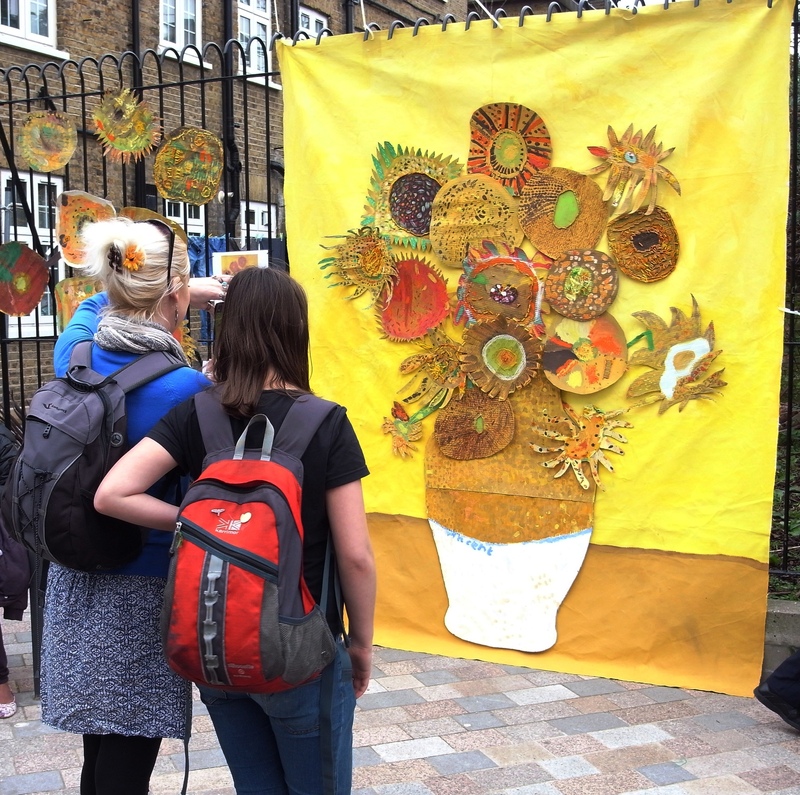 Once their flower was dry and cut out they added more impasto strokes using PVA glue and then sticking on macaroni, short strips of wool and thread and coloured sand in similar shapes. I drew the outline of the vase and cut it out and I then got a small group of confident artists to paint it. They added coloured sand, again by painting impasto strokes with PVA glue. I mounted the flowers and vase onto a large piece of canvas, which some of the children had painted using large decorating brushes.